In 1968, a major real estate company, Concordia Estates Ltd., announced its intention to completely demolish six square residential blocks of heritage buildings in downtown Montreal, in order to make way for a massive apartment, hotel, and shopping complex. The Milton-Parc Citizens’ Committee was subsequently founded and quickly started to bring together residents to organize an opposition to the destruction of their neighbourhood. Through a rich and vivid selection from the CCA archives, Milton-Parc: How we did it retraces the dramatic struggle of this inner-city community to preserve its neighbourhood. 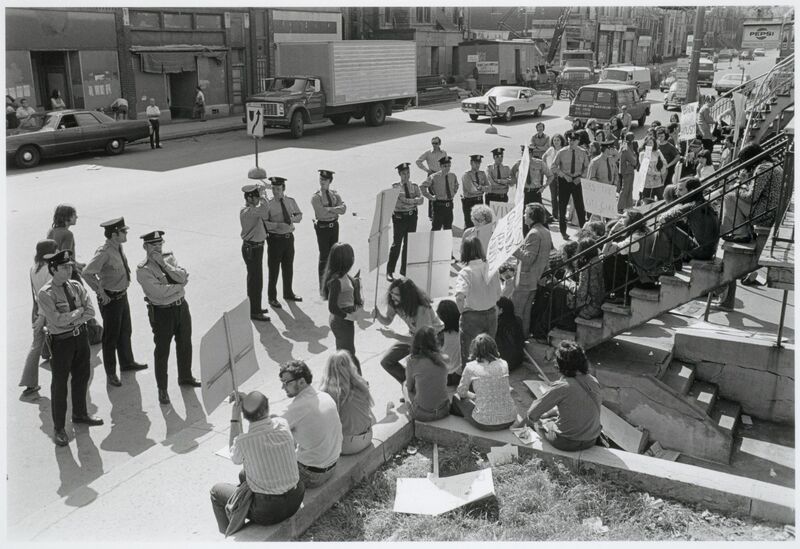 The struggle was part of a collective social vision that created North America’s largest non-profit, cooperative housing project established on a community land trust.